Although this may not mean like much to the naked eye, when you break it down into bite sized pieces you can understand the enormity of what it all means. Plus, it all happened in less than 24 hours. Below are the 2 new followers who followed Kuda Today! As you can see they are quite influential – and if you look at the number of followers — it’s not too shabby! StreetARToronto has 816 followers.As we interacted, we had notable members of the community (designers, TV personalities) mention on Twitter that they would come into the store. This is a huge triumph. 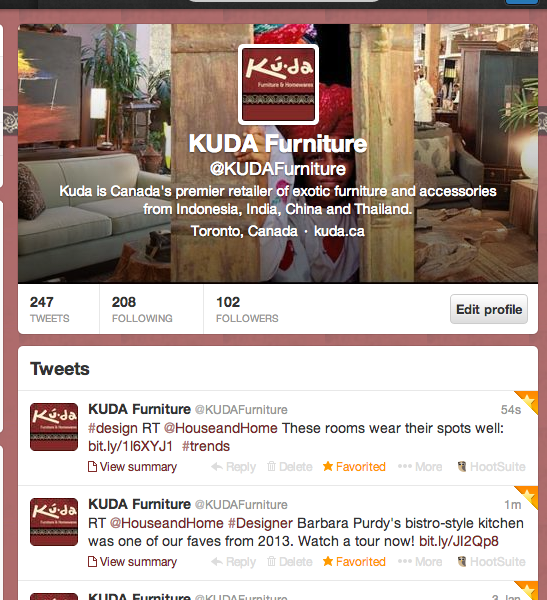 As they tweeted to Kuda, their tweets were broadcast to their entire follower-base, creating an instant positive brand image for Kuda. It’s like being endorsed by a celebrity for free.As we continue to monitor Kuda’s social media strategy, our goal is to connect and engage. The aim of social media shouldn’t be to gain as many followers as possible. 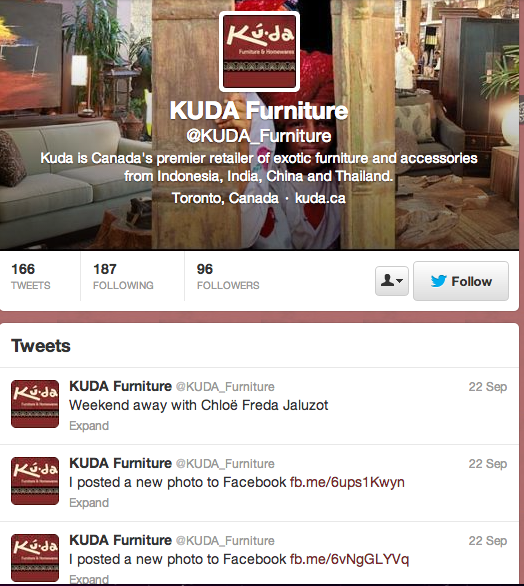 Think Blink will aim to help Kuda gain quality followers that will help grow their brand. 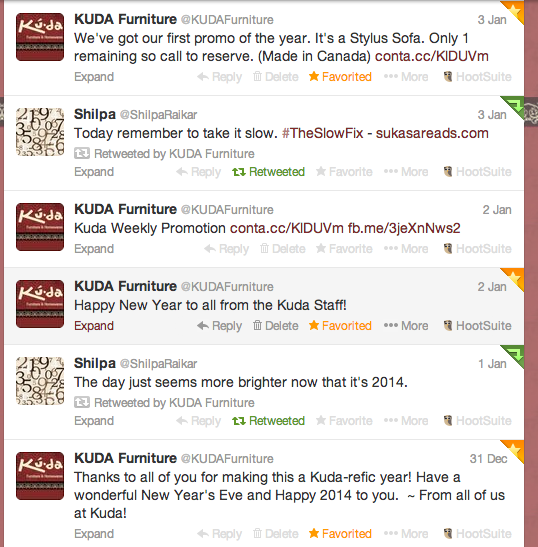 Kuda Furniture pre-2014. Tweeting without a cause or engagement.